The NHS plans to go paperless by 2018, health secretary Jeremy Hunt is set to announce. All patients should have compatible digital records so their health information can follow them around the health and social care system by 2018, he will say in a speech to think tank Policy Exchange. Hunt will also reiterate commitments made last year to make all GP records digital by 2015. “It is crazy that ambulance drivers cannot access a full medical history of someone they are picking up in an emergency, and that GPs and hospitals still struggle to share digital records. Previous attempts to crack this became a top-down project akin to building an aircraft carrier. We need to learn those lessons – and in particular avoid the pitfalls of a hugely complex, centrally specified approach," he will say. Julia Manning, CEO of medical technology think tank 2020health, said a cultural shift within the NHS was required to meet the target. “It is vital that we don’t repeat the mistakes of the National IT programme and try to do too much at once, with people not understanding the benefits or having confidence in the system. The focus must be on electronic personal health records (PHR), over which patients have control. “The barriers to uptake surround culture and change more than technology. There are many reports of GPs not wanting patients to access their records. We’ve had the right to see our records for 20 years, but professionals still write unintelligibly and resist requests to view them," she said. Gerry McLaughlin, who has worked as an IT project manager in the public sector, questioned whether government had the ability to mandate deadlines from the centre, while devolving health services to a local level. "The idea is great – it’s just the implementation of it that is going to be the problem. Very few IT projects deliver on all their objectives of being completed on time and to budget and deliver what the user wants," he said. 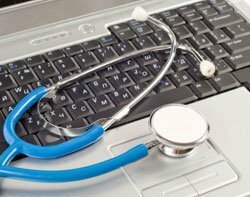 The majority of hospitals are already seeking electronic patient records outside the National Programme for IT, according to research by Computer Weekly, with three in five already selecting alternative systems.